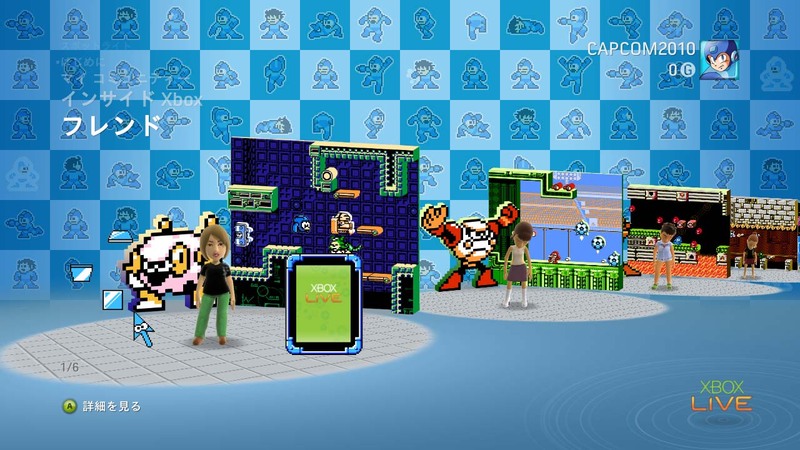 Capcom's celebrating the release of the Xbox 360 version of Mega Man 10 tonight with a little contest. Dropping a comment over at this post could warrant a free download of the game. All you have to do is tell Capcom why you deserve a code...simple as that! Capcom will be selecting ten winners tomorrow so you've got all night to to mull over what you're going to say. The theme will set you back a mere 240MS Points. And with that, do enjoy Mega Man 10! Feel free to share your opinions and the like in the comments. "Once again, Capcom sports the biggest booth (#833( on the show floor as we present demos of hot, upcoming new games (many for the first time anywhere) to the public including: Super Street Fighter IV, Lost Planet 2, Monster Hunter Tri, Final Fight: Double Impact, Mega Man Zero Collection, Street Fighter IV for the iphone, and Dead Rising 2!" Hopefully, the demo will end the Zero Collection news drought and bring forth some new details. WonderCon takes place in San Fransisco from April 2-4. Check out the convention's official site for more details. Also, be sure to read Capcom's full WonderCon post for the lowdown on other activities and events. Artist Jason Hazelroth writes, "I wanted to try my hand at redesigning MegaMan as a live action character. I had designed some suits before for something unrelated, but a friend mentioned that it looked like MegaMan. With a few tweaks I decided to render him up and this is what I got." Totally awesome. I'm getting a Tron/BayFormers vibe from the illustration, which isn't a bad thing. Like what you see? Head on over to Jason's blog, check out some more images and leave some feedback. 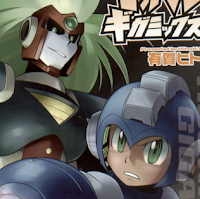 Despite a listed March 29th release date on Amazon, the first volume in the Mega Man ZX manga series isn't slated to release until April 28th, according to UDON's managing editor Matt Moylan. To keep you busy till then, Matt has graciously provided eight preview pages from the book! Click the thumbnails below for full size. 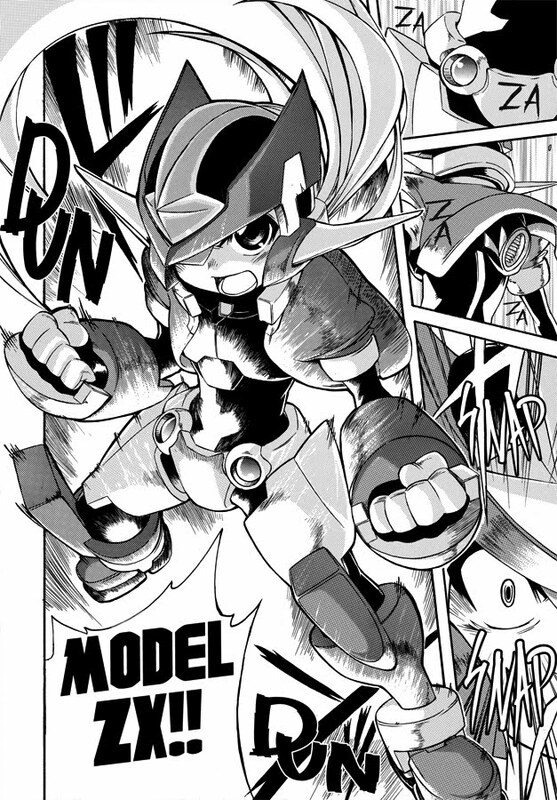 With a blend of over-the-top action and a pinch of humor, Shin Ogino's Mega Man ZX manga looks to be a must have for any fan of the series. Pre-order your copy at Amazon! Apologies for not posting this up earlier: 3D Mega Man and Mettaur origami! 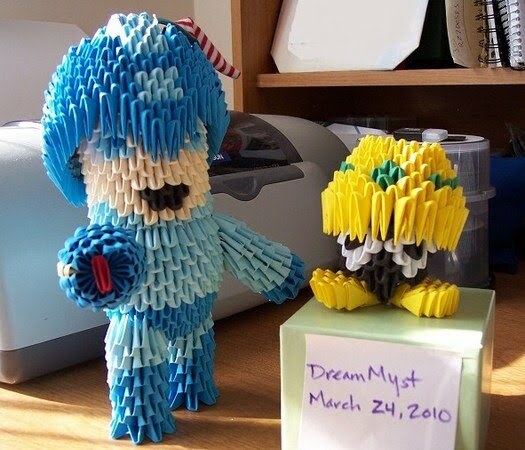 Built by DeviantArt user “DreamMyst”, Mega Man here is made up of 1,250 pieces and another 252 for the Mettaur. An impressive display of craftsmanship, to say the least. Thanks to everyone who sent this in! It appears that Amazon.com has restocked a small quantity of the much sought after Mega Man Zero Official Complete Works art book, which for the past several months, has been fetching a ridiculous $150 and up on the Amazon Marketplace. The book is now retailing for a reasonable $25.83, but stock is limited to a mere six copies [Update: For one reason or another, the book is now $43.88, down to four copies]. If you've been desperately trying to obtain the book, jump at this opportunity while you still can! Purchase here. Thanks for the tip, Slash. The contests ends April 20th and winners will be declared shortly after. Want to enter? Read up on this post at Capcom-Unity for full contest details! 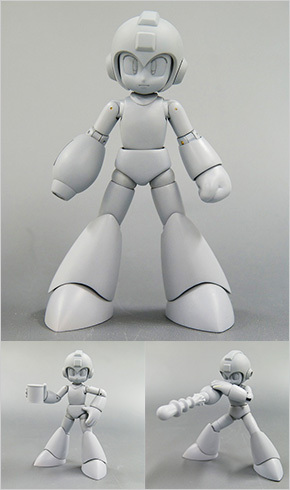 Capcom's Rockman 10 site updated with a small page that provides a few additional details about Kotobukiya's forthcoming Rockman figure. According to the blurb, the figure will stand at 1/10 in scale (around 5 inches in height), with 20 points of articulation. Furthermore, a set of accessories will be included such interchangeable buster projectiles ('normal' and 'charged'), an E-Tank and some decals. Capcom is still mum on a price and a specific release date, but the page does allude to a release sometime this September. Of note, the page indicated that the design featured is still a prototype, and as such, the final product may slightly differ in appearance. Thanks for the tip, Nicholas. A bit later in the day, Capcom will offer the following PlayStation 3 XMB theme for $2.99, which can be purchased straight off of the PlayStation Store. Pretty neat, but $2.99? Really? Being trading art figures, you'll never know which character you'll end up with -- it's entirely random. The 6~10cm individual figures (11 in all) will run ¥650 ($7.19 US) a pop, or ¥6140 ($67.98) for a boxed set of 12. No guarantee the boxed set will contain each character, mind you. Still no specific release date of the figures, but numerous online retailers such as Amiami, are looking to stock them in late May. 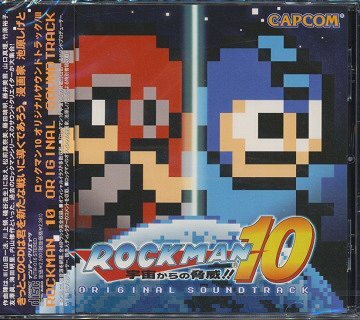 The official Rockman 10 soundtrack went on sale today in Japan, and import shops like CDJapan have already begun shipping it out to those who pre-orded. The soundtrack consists of 46 tracks, and will come packed with a 12 page full color booklet jammed pack with commentary from the game's developers and composers. E-Capcom customers who purchased the soundtrack will also be getting an exclusive Inti Bonus Disc CD, which contains an arranged version of Rockman 10’s title theme, a chip-tune remix of Nitro Man's stage, and a "non stop remix" of Rockman 9's RobotMaster stage themes. Ash: I have a question! 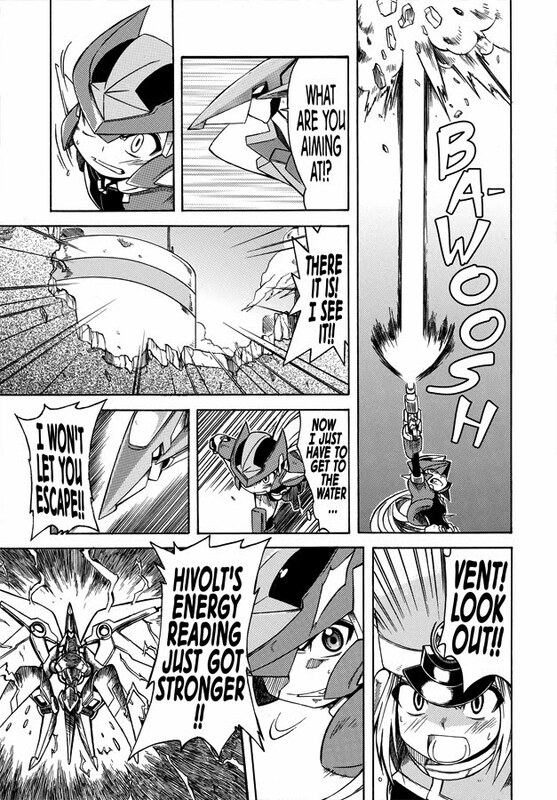 Does Bass have the same weaknesses he does in Mega Man & Bass -- namely, he can't run while shooting (he has to stay still) and his shots can't travel through walls (except when in Treble Boost mode)? jgonzo: Bass plays almost exactly as he did in Mega Man & Bass, so of course, he inherits all of his weaknesses from that game. 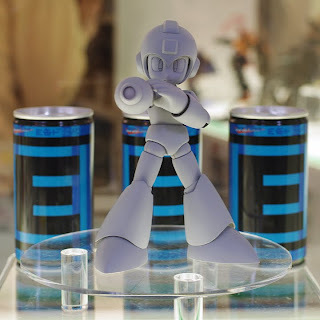 First off, his damage per shot is roughly half that of Mega Man’s (to compensate for his rapid fire ability). 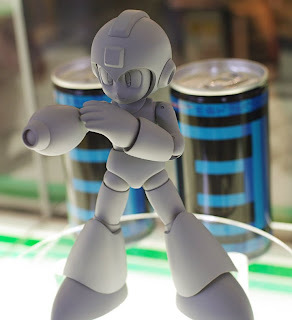 He also can’t run and shoot like Mega Man, which makes him “stickier” to play as. 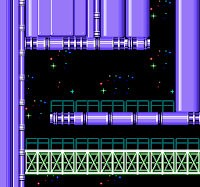 Finally, Bass’ shots do not travel through walls a la Mega Man’s. 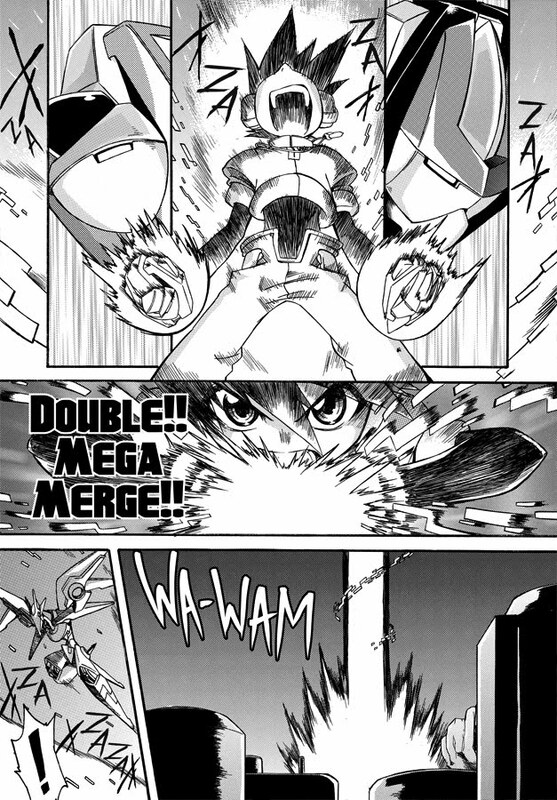 In short, yes, the weaknesses from Mega Man & Bass carry over. LBD_Nytetrayn: Here's my question: does Bass get a story mode to call his own? Or is he simply "there" just because? jgonzo: Yes, Bass gets his own story later on in the game. Travis: Why doesn’t he have his Double jump? jgonzo: Bass is a 16-bit era creation. With Mega Man 9, and now Mega Man 10, we wanted to go back to Mega Man’s 8-bit roots and present a true 8-bit retro experience. 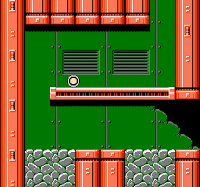 Bass had to be redesigned for this 8-bit world and unfortunately, his double jump was a victim of this process. Specs: How is the dash performed? Double-tap a direction? Down + Jump? Both? Will Dash + Jump carry him further than a normal jump? jgonzo: Down and jump! No double tap in this one, but yes it will carry him further than a regular jump. 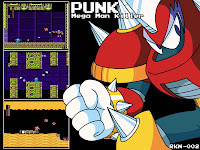 Hot on the heels of yesterday's news, Famitsu has come through with some full-body artwork of MMKillers Punk, Ballade and Enker -- the bosses for Mega Man 10's upcoming special stages. You can check out a gallery's worth of screenshots of each Killer's stage here, and some sprites and additional art at 4Gamer.net. Thanks for the tip, Jimb0! Special Stage 1 will be available the week of April 5th. 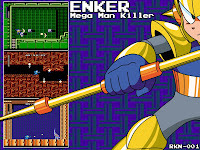 For Special Stage 1, we have Enker, the first of the Mega Man killers. 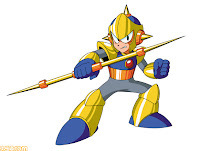 He was created by Dr. Wily and has completely devoted himself to Mega Man’s destruction. 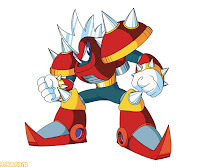 Some of you might remember him from Mega Man: Dr. Wily's Revenge where he appears after the second set of Robot Masters. Mirroring his pokey appendages, there’s a variety of spiky hazards Mega Man will have to avoid in this particular stage. The drill robot for instance will launch a threat from underground, so watch out! Special Stages 2 and 3 will be available the week of April 26th. 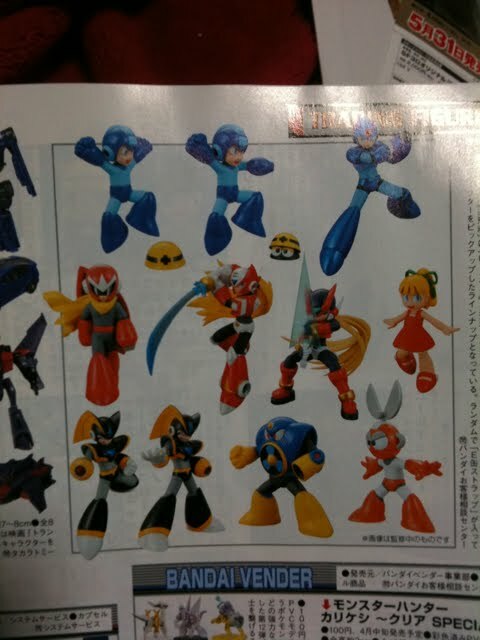 Special Stage 2's boss is second Mega Man Killer Punk, also created by Dr. Wily. 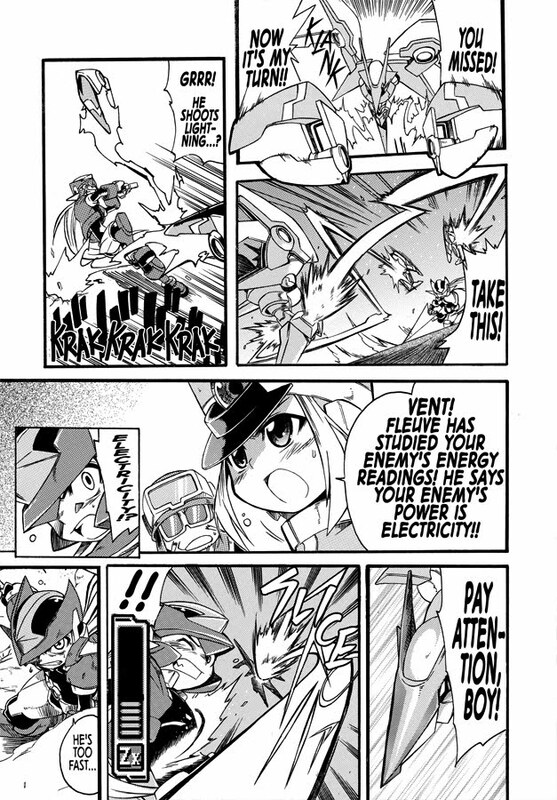 He was designed to be bigger than Enker in size and his special attack is a rapid spinning tackle. Now folks are going to be tempted to rush through on these stages because they are timed, but be careful because the Parabombs in this stage will make life hell for you. 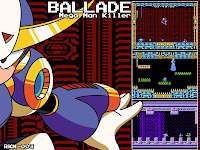 And finally for the Special Stage 3 we have Ballade, the third Mega Man Killer created after Enker and Punk. This robot is enormously proud of himself and he will not give up easily, even he’s close to death! Make sure to watch out for the fierce attacks he unleashes from high jumps. 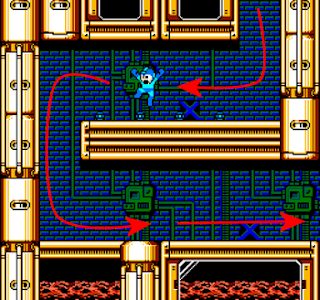 His stage requires smart decision-making because a series of conveyer belts and diverse traps will challenge the most masterful Mega Man pro. 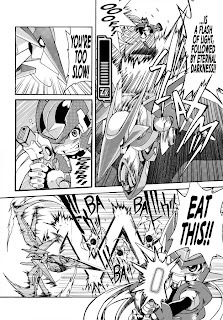 While the flux about Zero Collection news might be slow for the time being, here's a little something to keep your appetites whet. Online retailer Rakuten has gotten a hold of (small) screenshot from the game's Collection Mode (right), and from the looks of it, depicts a menu screen from the Mod Card Collection sub-mode. 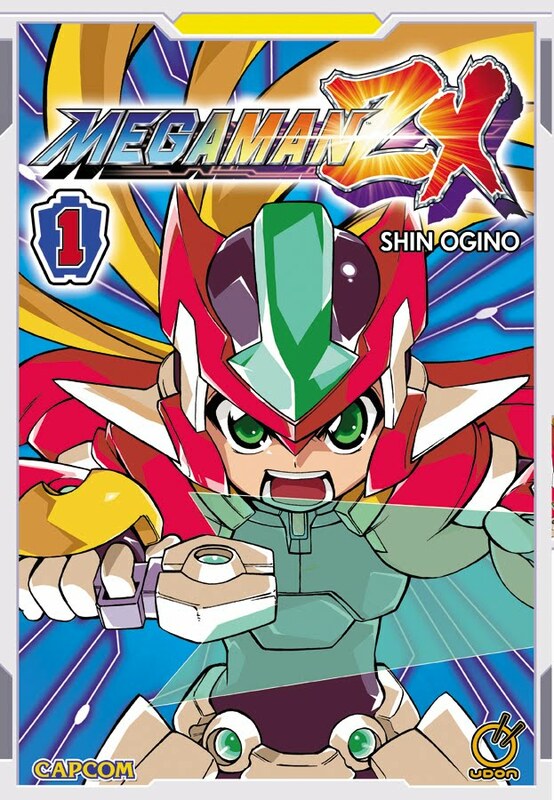 As previously reported, the Mod Card Collection mode not only features illustrations from the games, but can also be used in Zero 3 to modify gameplay elements and graphics. 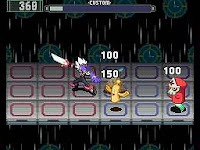 The card depicting here is said to alter Zero 3's title screen when activated. Check out a detailed listing of all of Z3's mod cards here. See the effects of the modification cards in action here. Price and release date is TBA at the moment. Kotobukiya is known for selling their products not only in Japan, but in the US and Europe, too, so there's a good chance the figure might actually be released elsewhere. "There are technical problems that neither we or Sony are able to get around. The game doesn't run properly when put in digital form. So it's physical only for the time being (hold onto those UMDs, they're gonna be valuable)." CutmanMike's multiplayer Doom mod, Mega Man 8-bit Deathmach, looks as awesome as ever. Still no word on a release date yet, unfortunately. Stay up-to-date with the project's status over at the game's official website and FAQ! It's been a while since I posted a good papercraft, and this one definitely deserves some attention. For your crafting pleasure, here's a a new papercraft featuring the polygonal version of Mega Man Volnutt of Legends series fame. Download the template here! Be careful, Volnutt's a bit on the tricky side so if you're new to papercrafting, you might want to steer clear of this one. For better results, always print your papercraft on cardstock. Much easier to work with and it holds way better than your standard sheet of paper. Enjoy! 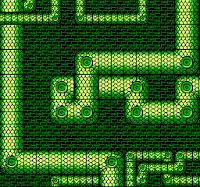 An article over at Press the Buttons exams one of the more prominent level designs patterns featured in the Mega Man series known simply as the 'turnaround' point. It's an interesting design, makes me wonder if it's a level designer's trademark or something. There's plenty more where that came from: click here for a complete rundown of every know turnaround point. I used to get stuff like this all the time back in the day, though nothing Mega Man-related. Thanks to Jim for the tip. Courtesy of the folks at Capcom-Unity, I've gotten my hands on four Mega Man 10 PSN download vouchers, which I intend to give away to you! 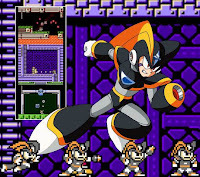 Winning is relativity easy: simply drop a comment about your thoughts on a hypothetical Mega Man 11; would you prefer another 8-bit entry, or something different? What kind if bosses would you like to see? Playable characters? Whatever. Just talk about Mega Man 11! After I've seen a sufficient amount of feedback, I'll be updating this post with the vouchers. That's right, this is a first come, first serve deal so these will go fast. I'll be posting the codes one at a time throughout the remainder of the day, so check back often! A big thanks to Capcom-Unity for this gracious opportunity. Be sure to check out their Mega Man 10 collaboration fan-art contest, which is definitely something artsy fans should take a gander at. Sounds like a lot of fun! With one voucher left, I've decided to change the subject for the sake of variety. 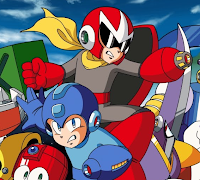 This round, I'd like for you guys to discuss what you think the Mega Man series as a whole should do next: continue on with more classic series sequels, or go back and revisit some other ones like X or Legends, or maybe even a brand-new series? New collections? Which anticipated games/sequels would you like to see come to fruition one of these days? X9? Legends 3? ZX3? MMPU or MHX2? Keep those comments going! Ah, what fun! Hope you all enjoyed, and congrats to the winners. Again, many thanks to Capcom Unity for the codes! 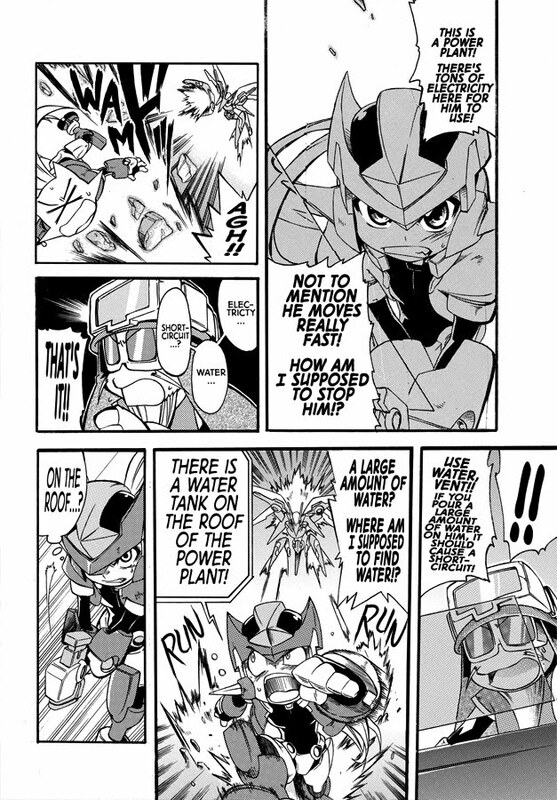 Rockman Perfect Memories is featuring a lenghty in-depth overview of volume 2 in the Rockman Gigamix comic series, which covers largely everything you'd ever want to know about the story, cast and a whole lot more. High resolution scans and illustrations are provided alongside the plot summary, so this is a pretty good alternative to reading this currently Japan-only anthology (that is to say, unless Udon gets their hands on it eventually). All in all, it's a great review, totally worth a read if you've got some time on your hands. Check it out here. If you've got a mobile phone capable of scanning QR Codes, you might want to head on over to Capcom Japan's official Rockman 10 website and grab a bunch of mobile phone goodies like RM10-themed wallpapers, icons and sounds. Scanning the QR Codes in the above links yields a download package that comes with two desktop themes, ten ringtones and an assortment of 8-bit icons. The download is region free, too, so even if you don't own a Japanese cellphone you can still download stuff -- just be sure you've got a QR code scanner handy. Thanks for the tip, Jimb0. Short, but sweet, right? Animated Rockman commercials traditionally tied with every famicom-era classic series game released in Japan since 1987. 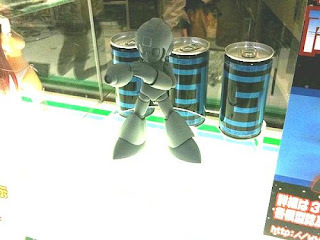 Rockman 6, however, was believed to be the exception due to the fact that Capcom, for reasons unknown, failed to include it in official commercial compilations. 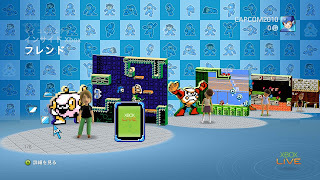 It was widely believed that they simply never produced a TV spot for the game in the first place, but as evident above, that wasn't the case. For those interested, you can check out more animated classic series commercials here. 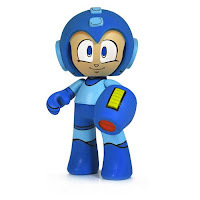 Reader Terry sends words that Toys R Us' online store is running a special deal on the Mega Man and Proto Man vinyl figures by Jazwares. For a limited time, purchasing one vinyl figure warrants the option of 50% off the price of another: buy one for the full price of $9.99, get the other for $4.95. Not too bad of a deal if you've been looking to buy both figures in one fell swoop. There's no specific date when the offer expires, but the deal ends once stock runs out. Better hurry! 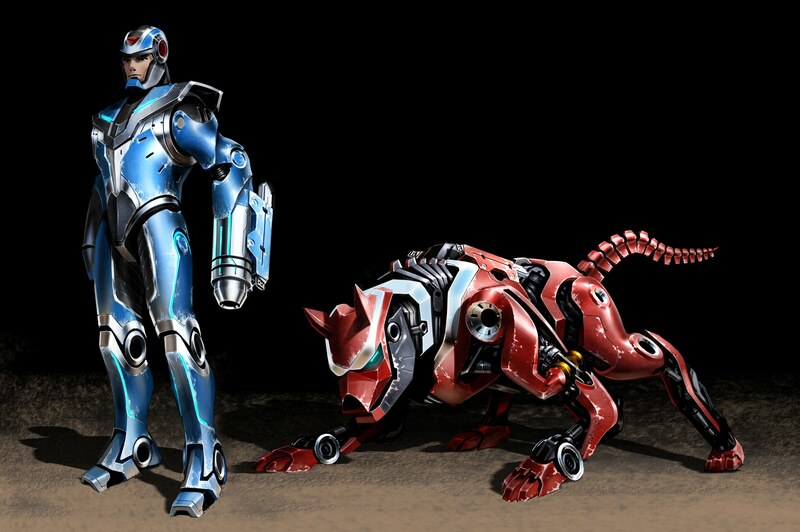 I've fallen a bit behind in Capcom-Unity's Mega Man 10 fan-art contest. Apologies! 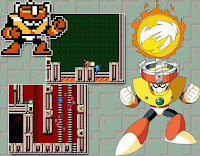 Nevertheless, voting has begun for the final Robot Master: Solar Man. Once you've checked out the entries (here and here), be sure to vote for your favorite piece here. 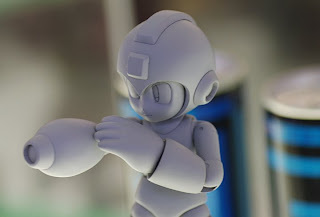 Even though we've run out of Robot Masters, Capcom will hold one more fan-art contest next week, which looks to feature Duo of Mega Man 8 fame. So I checked out The Wizard for the first time the other day, and was pleasantly surprised by a (very, very) brief Mega Man 2 cameo towards the end of the film. 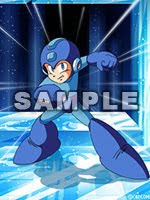 I guess 2005's Rockman EXE animated feature wasn't the first time the Blue Bomber graced silver screens. Japanese Wii owners with a copy of Rockman EXE Operate Shooting Star can download the "Burai B" battle chip for free via the Nintendo Channel. 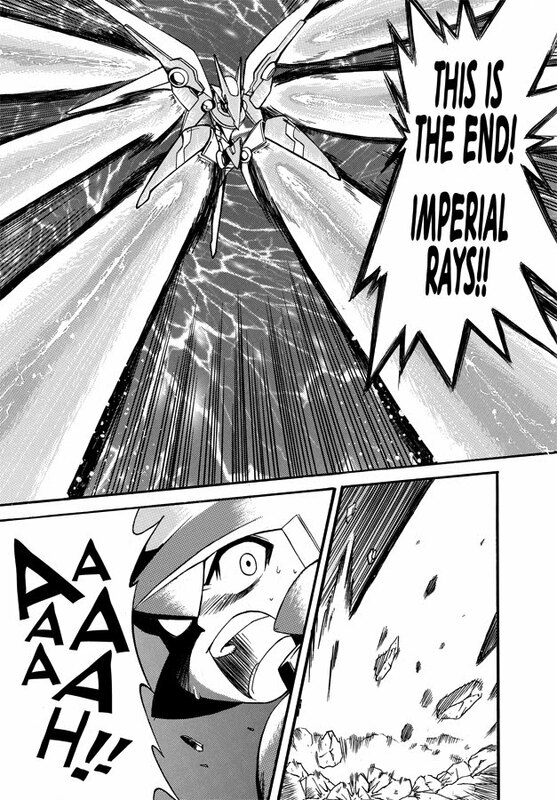 The chip, formerly an event exclusive card, summons Burai onto the field and unleashes three consecutive hits (60 damage each) to the closest target. See it in action here. Burai B will be available till March 30. On the left is "Tempura Man" (tempura being a Japanese-styled seafood meal) whose torso acts as a deep fryer. The right, "Vice Man" (a parody of the Sonny Crockett character from TV's Miami Vice) whose weapon of choice is a pistol. Just a friendly reminder that North American, European and Japanese PlayStation 3 owners will be able to download Mega Man 10 later today for $9.99 (actually, the Japanese version should be out now). Not much else to say than that! Enjoy the game! Click here for a list of trophies! UPDATE: Yes, it is out now, and yes, there is a (free) demo available for those of you who'd like to try it before you buy it.